At 2:15 a.m. on September 20, 1881, Vice President Chester A. Arthur became the 21st president of the United States in the parlor of his New York City apartment. 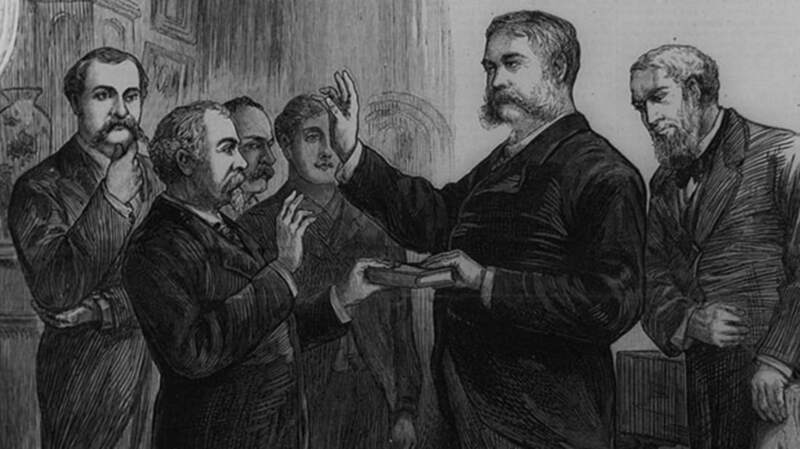 The odd hour and location of Arthur’s swearing in was in response to the death of our 20th president, James Garfield, who passed away in a home on the Jersey shore hours earlier. (Garfield had been shot by an assassin weeks earlier, but his death was the result of infections caused by unsanitary conditions.) So, when Judge John R. Brady administered the oath of office on the first floor of Arthur’s home, the after-hours meeting would mark the second presidential inauguration to take place in NYC, the first being General Washington at Federal Hall on Wall Street. Eyewitnesses at Arthur’s anomalous swearing-in were aware of its historical significance, but who knew that, years later, the Manhattan brownstone would become a forgotten piece of American history and better known as a neighborhood standby for dried fruits and falafel? 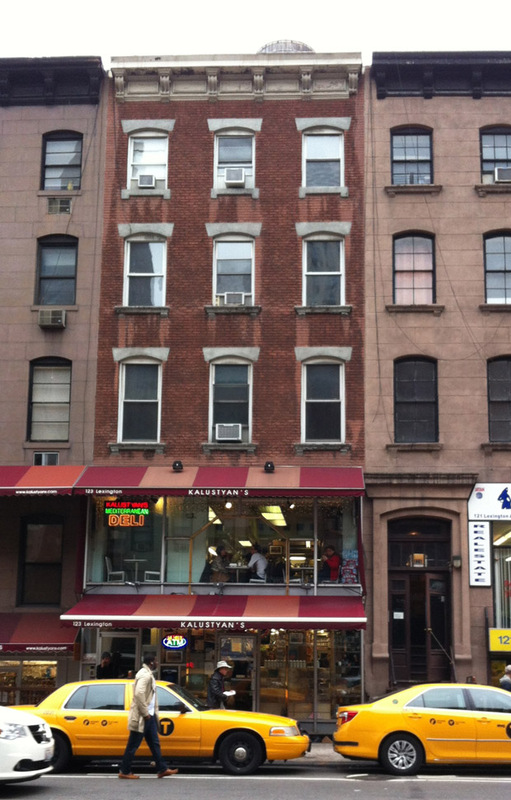 Since 1944, the Indian grocery Kalustyan’s has occupied the first floor of 123 Lexington Ave, in between 28th and 29th Streets. It currently shares the Murray Hill neighborhood building with a real estate company as well as a few residential tenants. The mob on Yelp seems to appreciate the shop’s vast selection of nuts and spices, but any semblance of Arthur’s parlor is kaput except for a discrete bronze plaque, which hangs next to the residential entrance’s front door. “People who live there just kind of giggle when you point [it out],” one realtor told the New York Times in 2005. On November 18, 1986, five years later, the Historical Association placed a plastic bouquet next to the plaque with a minute-long ceremony to remember the 100th anniversary of Arthur’s death. The bouquet was taken away one minute later.